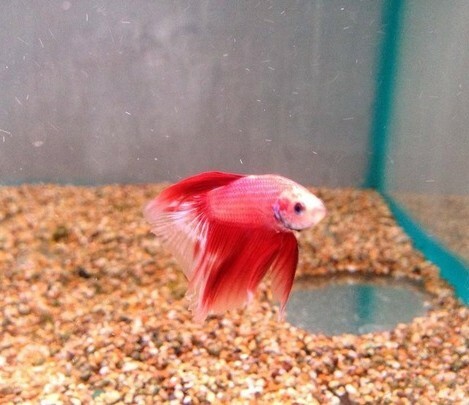 Betta splendens common name male Fighting Fish or male siamese fighting fish. They only grow up to 5-8 cm / 2-3 inches fully grown. 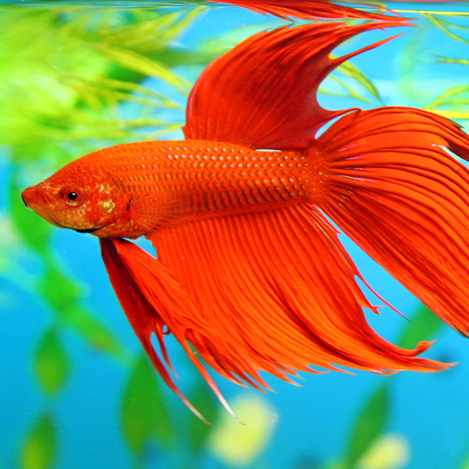 They live in water parameters of PH range 6.0-8.0 and temperatures of 22-29 Celsius / 72-84 °F. 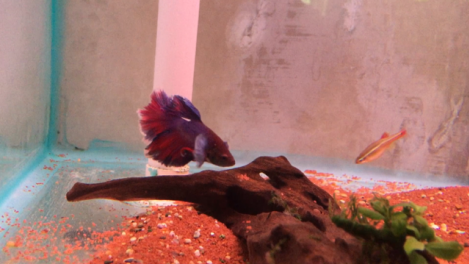 The male fighting fish is one of the most popular community fish. 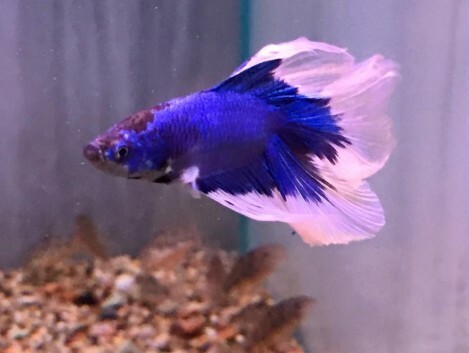 They have such a wide variety of colours, fin markings, and fin shapes, and this is what makes them such a popular tropical fish. 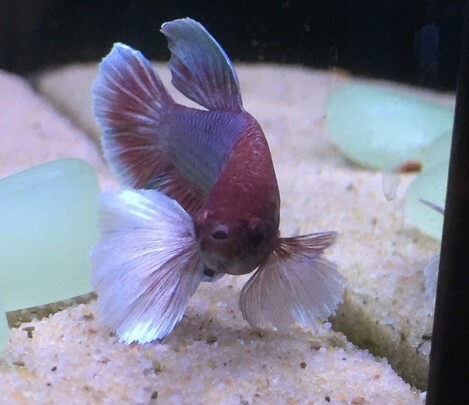 They are suppose to be peaceful and mix well with small fish, however if another fish does have ago at them, they can stand up for themselves. You can have as many female fighters together as you like, but males can not be mixed together, as they will try and kill each other. They can also be very aggressive to female fighters. 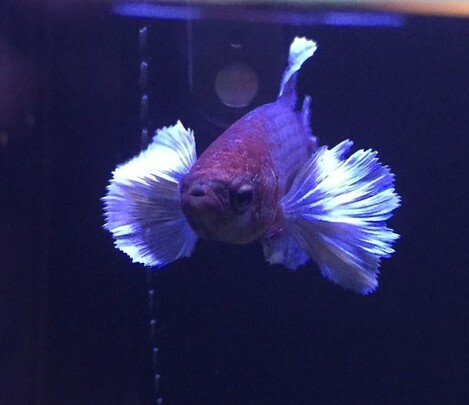 The male fighting fish have a lot longer flowing fins than the female fighting fish, this can some times make them easy pray for nippy fish, so they are best not to be mixed with the nippier fish. Fighting fish do not seem to eat a lot but they will eat flake, and small granular foods. Plus they do like frozen or live foods in there diet as they are a carnivore fish. 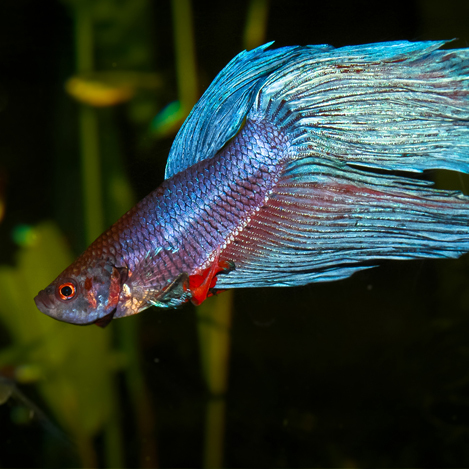 Male betta fish don’t require large size foods, as you will find they don’t seem to eat a lot. Flake, and granular foods are the best, also colour enhancing foods are a good idea. 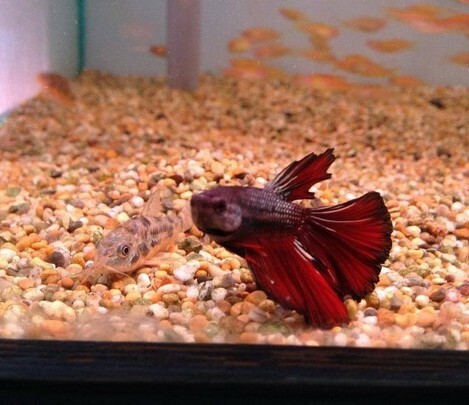 If they ever look low we recommend some live or frozen foods, bloodworm is a good choice. 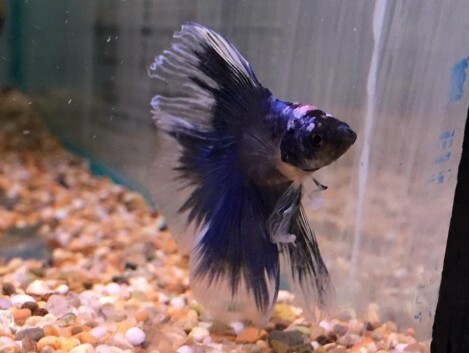 With male betta we only recommend feeding once a day at the most.